I was having a conversation with a friend of mine the other week, well it was a bit of a discussion around which was better, the original animated Transformers or the cinema adaptation. Now his argument was that the animated shows had a much better story line and the films just copied the original story. He said that the originality of these tv shows made them so good, first airing in 1984, the comics and tv series captured the young hearts of the time and Optimus Prime appeared as a flat fronted truck, much like the European trucks of the time. Twenty-three years later and several generations on, Optimus Prime and the rest of the gang first appeared on our big screens in real truck form. Real actors, real stunts & real explosions. That’s what we wanted, okay let me rephrase, that’s what I wanted. I wanted to be able to relate to the characters more, I wanted feeling and emotion, and that’s something that I only got with the movies. I never thought I’d say this, but I guess what I was really looking for was transforming robot aliens that looked like normal vehicles to be more realistic. Maybe we can start to say that the dream of autonomous trucks that fight and save the world is a little closer than we think. 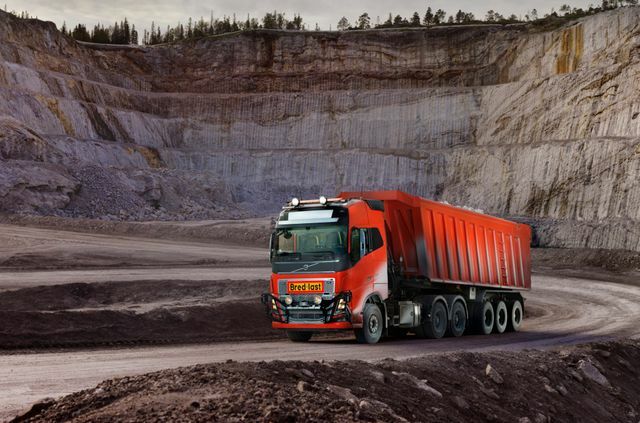 Volvo has signed its first commercial autonomous trucks deal with a mine operator in Norway to help with the logistics of moving minerals and rocks from the mine on a 5km route to a boat in the port. This is a significant step forward and something that will kickstart the industry into doing the same. Now it’s just time to buy myself a 1977 Camaro in yellow and just keep my fingers crossed! Volvo Trucks has announced it’s providing an autonomous transport solution to Bronnoy Kalk AS, a mine operator in Norway.